2019: Don’t bet on it! Now that the Christmas holidays have passed, the words on many people’s lips, and in their thoughts, are the new calendar year and what it will bring. Resolutions…resolutions…resolutions have been made, and are being made. Within a few days or weeks of 2019, they will be broken, ignored, or abandoned as quickly as people made them. Recent studies people revealed people keep less than 10% of New Year resolutions. The challenge for our people nowadays is hope. They need something to cling onto; something they can look forward to the next day, week, month or the coming year that will make life better for them. To make a New Year resolution stems from an old mythical practice to ancient gods. A little history. The fact is New Year’s resolutions have a religious origin, but not from the Christian religion, as many people assume. Some 4, 000 years ago, Babylonians made promises to their gods at the start of each year in March; they would also return borrowed objects and pay their debts. They were the first to hold celebrations to honour the New Year. This occurred during a massive 12-day religious festival known as Akitu, when they crowned and reaffirmed loyalty to the reigning king. About 46 BC, there was a similar practice in Rome, after Emperor Julius Caesar changed the calendar and established January 1, as the beginning of the New Year. They named the celebrations after Janus, the two-faced god whose spirit allegedly inhabited doorways and arches. Romans believed Janus looked backwards into the previous year and ahead into the future, so they offered sacrifices and made promises or resolutions of good conduct for the coming year. Christians adopted January 1 celebrations much later. There’s no indication whatsoever of such a celebration in the primitive church or in the Holy Bible. In 1740, the English clergyman John Wesley, founder of Methodism, created the Covenant Renewal Service, also known as Watch Night Services, on New Year’s Eve or New Year’s Day. They read the scriptures, sang hymns at the services. Now popular within evangelical Protestant churches, watch night services held on New Year’s Eve are spent praying and making resolutions for the coming year. The course of human history has been one of suffering, hopelessness, and misunderstanding of the purpose of life. We, as a species, need some kind of tangible hope because we cannot solve our own problems. In many instances, we are using physical means to solve spiritual problems, and all the attempts to reach a solution, end in despair. If you are betting or hoping that 2019 will be a better year for you, think again! Some people may see marginal or no change in their financial situation, which is the usual subject of focus; others may experience changes they had been looking forward to long ago. Yet others will see their various expectations deteriorate into the unmanageable, be it their financial affairs, marital status, romance, or health. The reality is though, no matter what you may achieve during 2019, it could all come to nought. How? There’s a silent enemy that awaits us, and often times, we rarely think about it in our quest for better times ahead. It’s the enemy known as death that could, and will take your achievements and your failures away from you one day – and it could be 2019. Only one thing you can do about this enemy. One day, hopefully soon, this enemy will be no more. 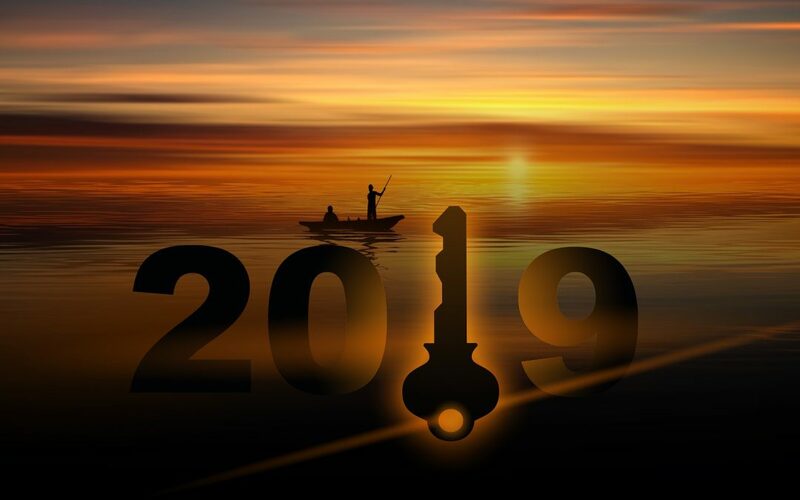 While you may be hinging your bets and aspirations that 2019 is going to be better for you, remember your Creator, the God who made you – YAHWEH, the God of the Bible. He sent his only begotten Son, Jesus Christ, to die for all our sins. That, He did, and Jesus will have the victory over death in the fullness of time. Then, and only then, will humanity experience real hope and no need to make meaningless New Year resolutions. For more on this subject, download FREE our booklet, The ASSURANCE OF SALVATION.